Perhaps no astrological factor has more different opinions and less agreement among astrologers than the phenomenon of retrograde motion, the fact that from the earth's view all planets appear to move backward in reverse motion through the zodiac, one or more times a year. Expert's opinions range from there being no perceived effect whatsoever when a planet is retrograde, to their being a very dramatic effect. But then, even if an effect is indicated, there is a wide range of declarations as to what that effect might be. 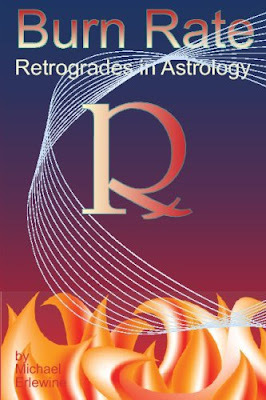 Here is a single book, expert astrologer Michael Erlewine lays out the phenomenon of retrograde motion in a clear and easy-to-understand manner. More than just abstract theory, here is a hands-on way to interpret retrograde planets in your natal chart. Included are 96 Astro*Images and matching interpretive text that makes looking up the meaning of your retrograde (or direct) planets are breeze.